which brand of dog dry food do you feed your furkids?? Re: which brand of dog dry food do you feed your furkids?? no wor...u can buy 2.8kgs for amos to try,dont worry,is premium foods. 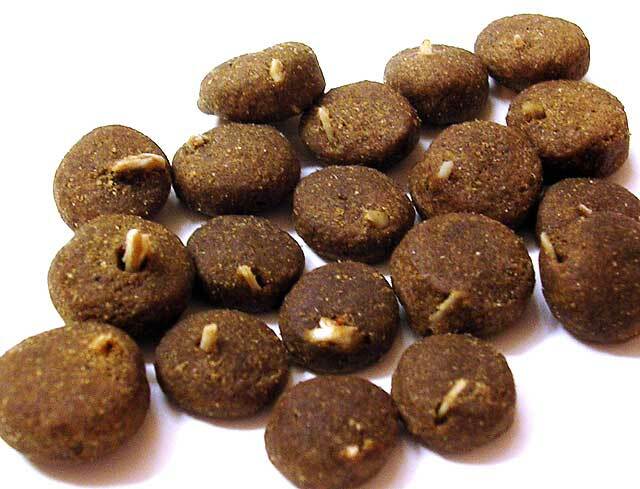 Get a good quality dog food it have more nutritional. Dog might less ill and live longer. When your dog age about 7-9 year. You will know what I said it true. seapark pet supplies close what time?weekend open? try to avoid any kibbles with ingredients that have by-products in them..
Yucca..again this is suppose to help digestion as its another type of fibre source oso...but i oso found Yucca can be a type of free radicals that may attack their joints and lead to hips dysplacia on a long term basis...and oso someone told me it may dry up some organs on a long term run oso... thats y i said Evanger is quite gd but jus that it contains Yucca so i don dare try for long..
feed how long jor leh? When have free try read more news from Magazine, other else unknow out side there. bt for bowls rite? ?do u guys wash it everyday?? bt shall we wash it everyday to make sure its hygienic??? Here any picture from my friend, can guess from which brand?